I love all of the different motor and sensory paths I am seeing out there. If you are a regular reader or have been looking through this website you will notice that I LOVE themes. That’s why I created the Santa Boots gross motor game that is perfect for Christmas! It’s easy to set up and easy to play. 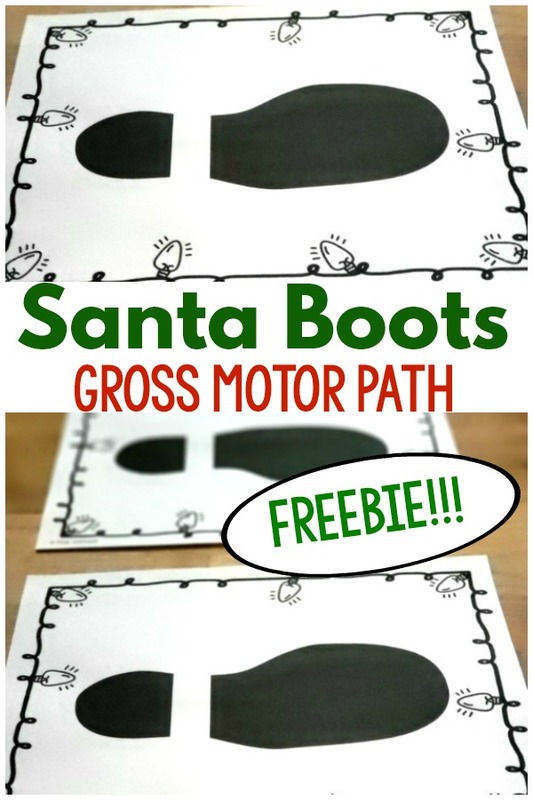 The Santa Boots gross motor path consists of full sheet Santa boots. There are single Santa boots (both right foot and left foot) and double Santa boots. 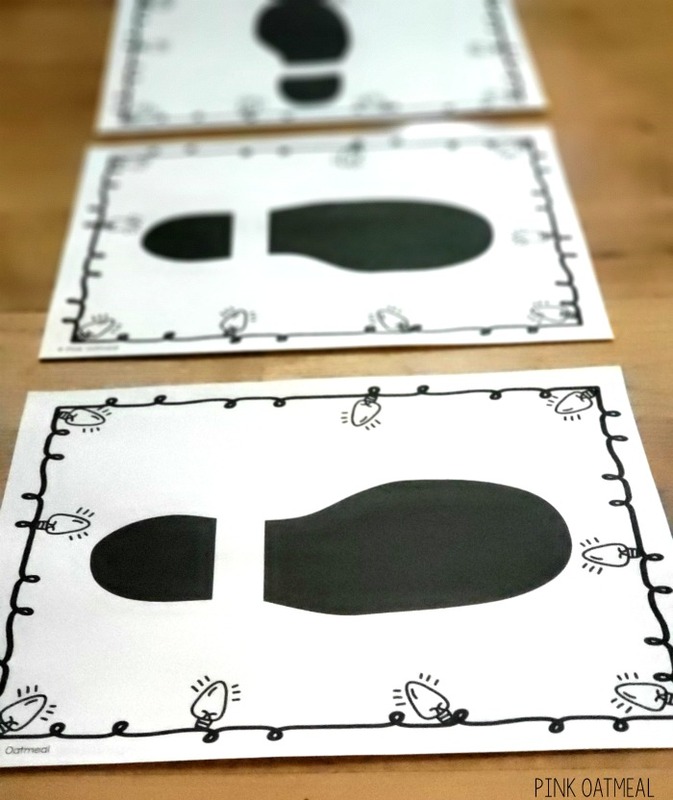 Get the Santa Boots printables for FREE in the freebie library. I recommend printing and laminating the Santa boots printables for longevity. Set up the gross motor path as challenging or as easy as you would like. Have the kids hop or step through the path. This is a fun way to work on gross motor skills during the holiday season. 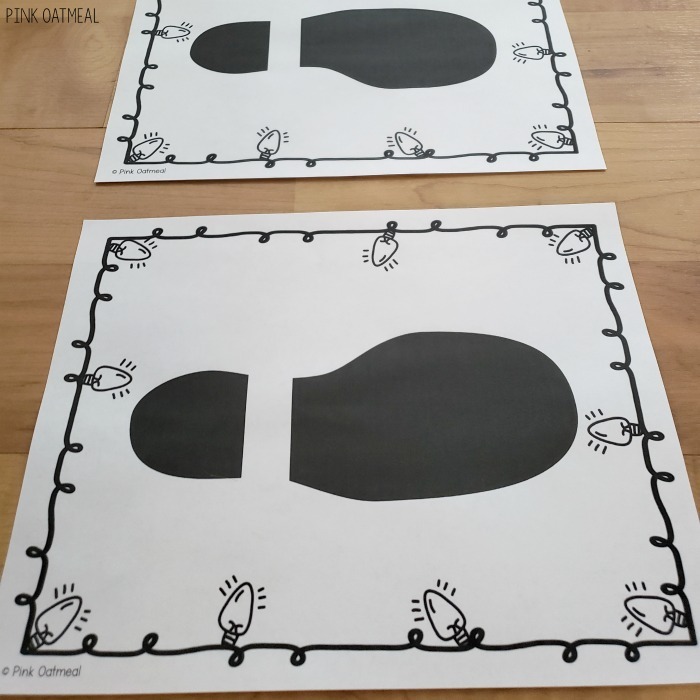 This activity is a fun addition to other freebies in the Pink Oatmeal freebie library including the Reindeer Run Brain Breaks and Jingle Jive game.